Any seller is elated to receive multiple offers on their home. But did you know there is often more to consider than just the price? We know what you’re thinking, “Why wouldn’t I just choose the highest bid?” And that may be just what you do. However, some sellers may prioritize other items above price, such as a sooner closing date or cash offer. Whatever your priorities may be, ensure you and your agent review each and every term of the offer before accepting. Don’t become distracted by the price – instead focus on what repairs are requested, the earnest money they’re willing to put down, whether or not they’re asking closing costs to be covered, and if the buyer is preapproved for a loan. You should also consider the type of loan the buyer is obtaining. In some cases, the type of loan could keep you from accepting an offer you otherwise may have accepted. 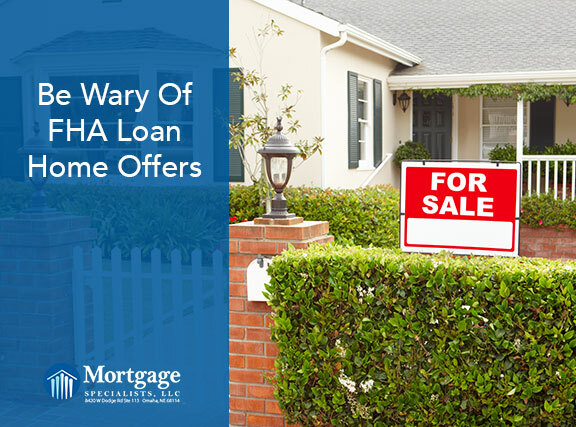 In most cases, sellers are wary of accepting FHA loan home offers. FHA loans are typically easier to qualify for, with lower down payment and credit score requirements, making them a perfect solution for those that can’t qualify for a conventional loan. They also generally have lower closing costs than conventional loans. But, because they’re government-insured, FHA loans have stricter guidelines than conventional loans. If the home is appraised for less than the agreed-upon price, the seller must reduce the selling price to match the appraised price. With a conventional loan, if the appraised value is less than the agreed-upon price, the buyer has an opportunity to negotiate the price or come up with the difference. That means the seller may still be able to sell at the agreed-upon price or a price close to it. With FHA loans, their hands are tied – they either lower the price or list the home again. If they do decide to list the home again, the appraisal stays with the property for 120 days. Homes built prior to 1978 need to have all peeling or chipping paint on the property scraped and repainted. Safety handrails must be installed in open staircases with 3 or more stairs. Floor coverings and roofs must all have 2 or more years of useful life left. Large cracks or trip hazards in the concrete must be fixed. Windows cannot be broken and must function properly. The property must have running water and working heating and cooling systems, depending on the region. As you can see, the guidelines that accompany an FHA loan home offer may be enough to persuade a seller from accepting it, however, that isn’t always the case. Depending on the home’s condition and what’s most important to the seller, they may not mind considering FHA loans. Please don’t hesitate to reach out to us at 402-991-5153 with any mortgage questions you may have!